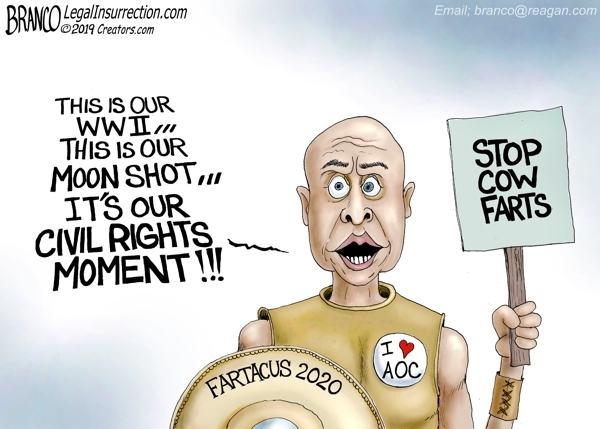 Cory Booker is behind AOC and the “Green New Deal” that includes doing away with cow farts and air travel, costing taxpayers upwards of 7 trillion dollars. Political Cartoon by A.F. Branco ©2019.